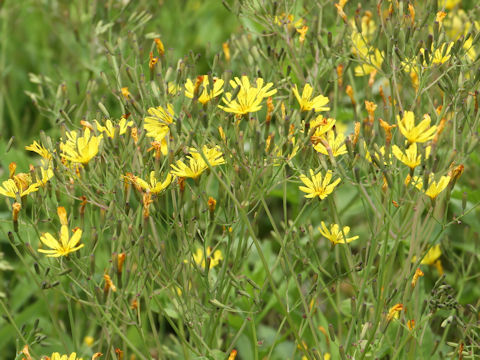 "Hana-nigana" (Ixeris dentata var. 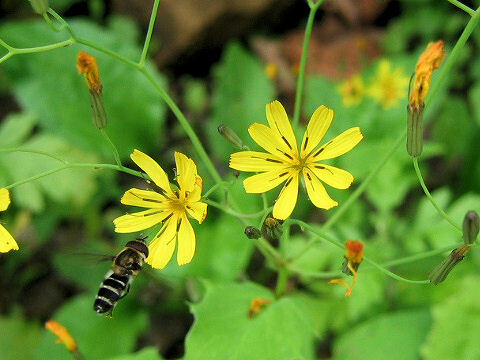 albiflora f. amplifolia) belongs to the Asteraceae (the Aster family). 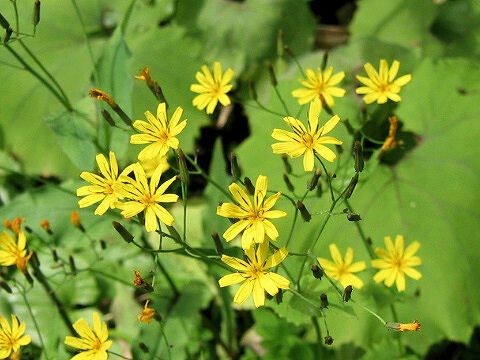 It is a perennial herb that is native to all over Japan, as well as the Korean Peninsula and China. 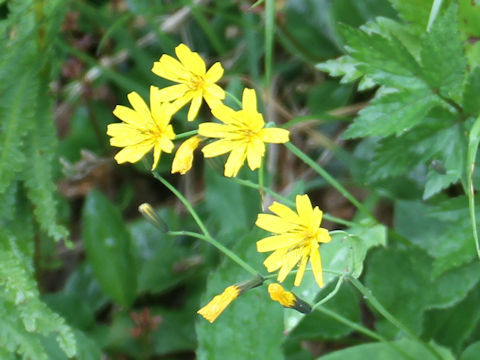 It is a a form of "Shirobana-nigana" and defined by having 7-11 ray flowers. 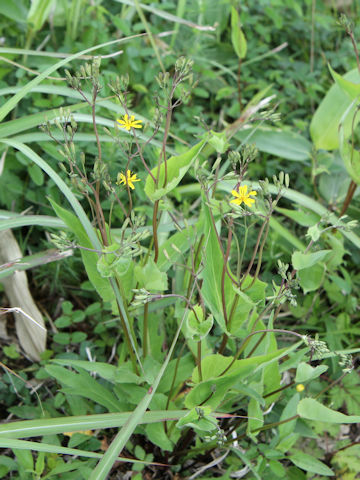 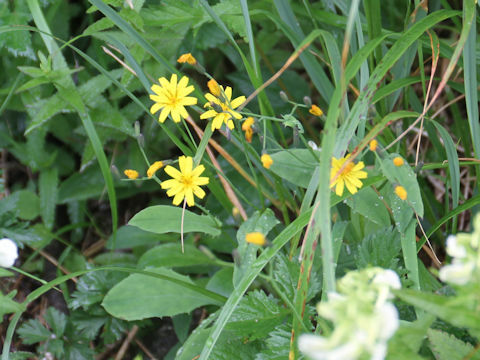 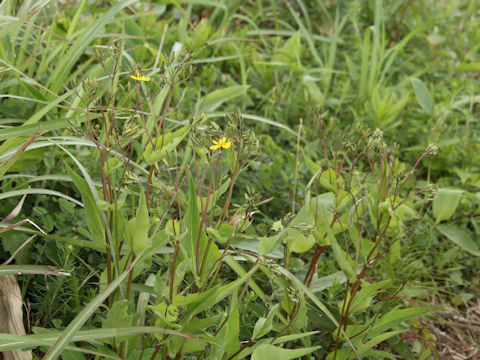 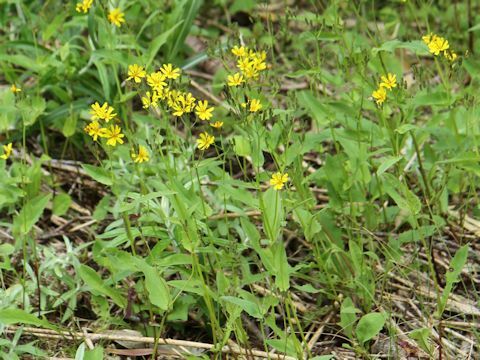 This herb grows in hillsides and mountains, and can reach 40-70 cm in height. 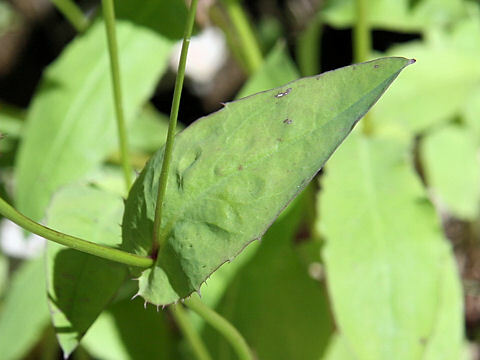 The cauline leaves are heart-shaped at the bases and enfold stems. 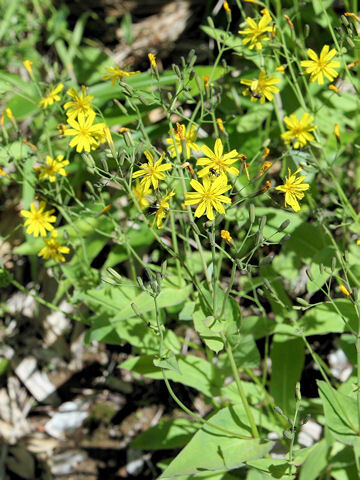 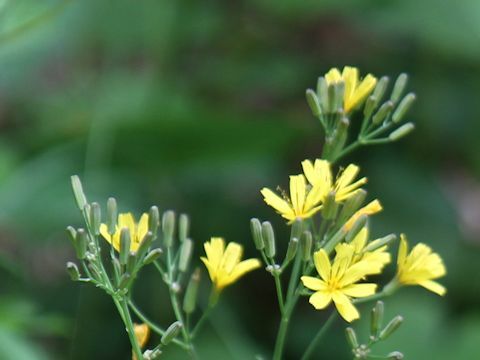 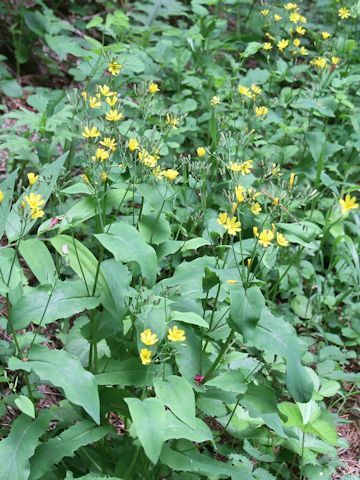 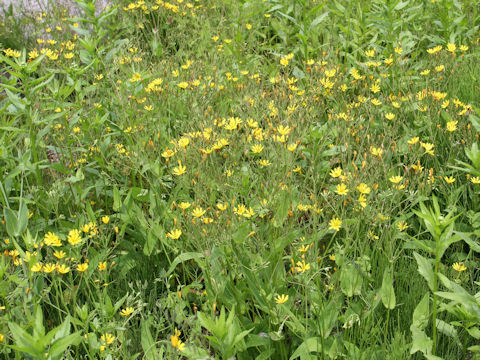 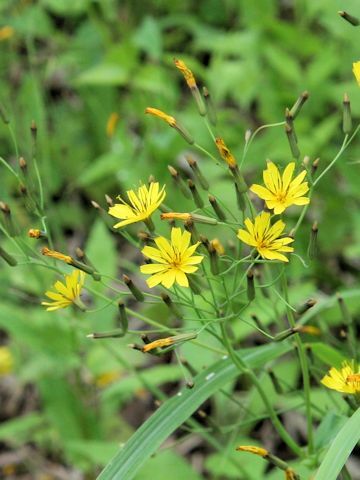 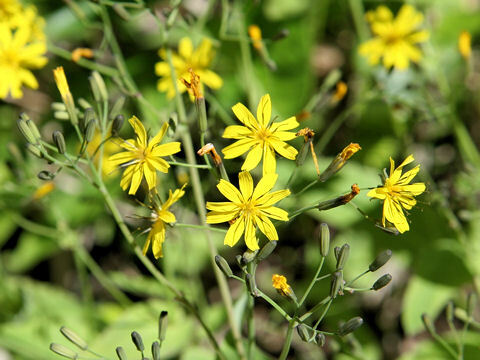 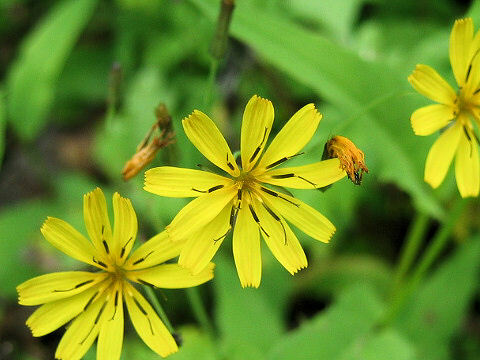 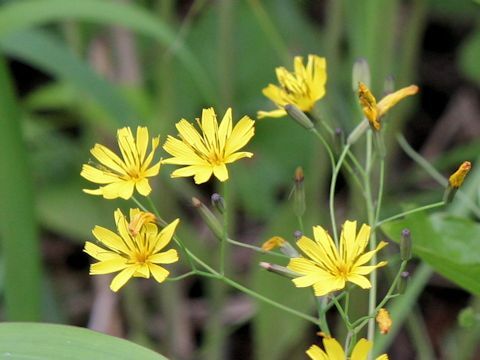 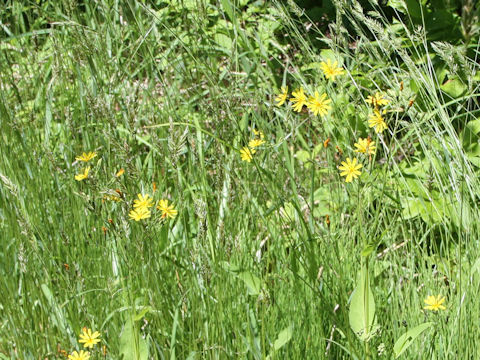 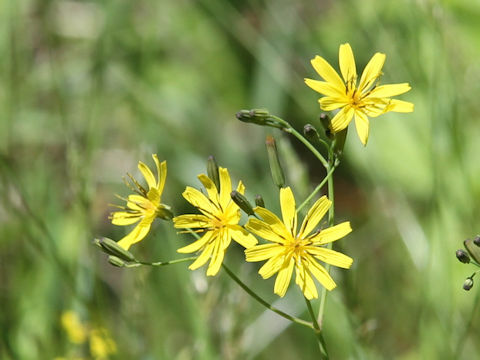 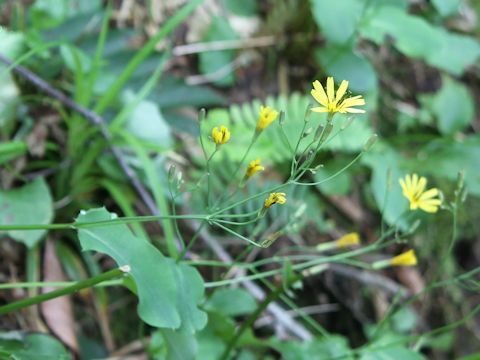 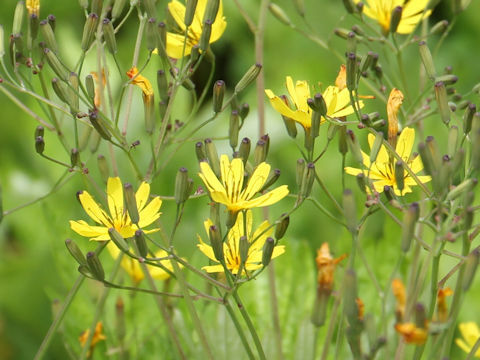 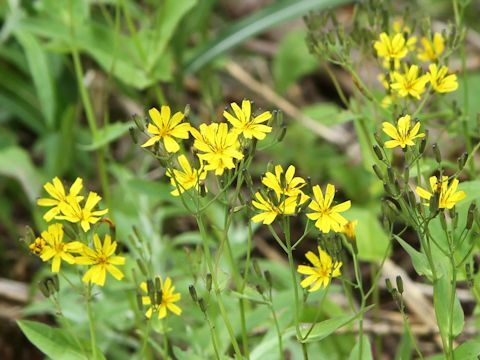 The corymbose clusters are borne on the branched stems and bloom yellow flower-heads from May to July.